How Does the Housing Downturn Compare to Previous Cycles? The size of the current downturn is larger than the previous nine, with new figures forecasting a peak-to-trough decline of 30 per cent in residential construction. While the magnitude of the downturn is not out of step with previous cycles, the projected 30 per cent fall in residential commencements — about 70,000 dwellings — is the biggest in the building activity data recorded since the mid-1970s. In comparison to recent residential construction downturns, BIS principal economist Timothy Hibbert says the current downturn is larger than the average 25 per cent decline. BIS expect residential commencements to bottom out at 161,000 dwellings in 2019-20. With dwelling commencements recording a larger-than-expected 16 per cent fall in the fourth quarter of 2018, UBS economists are equally bearish about the downturn. In a recently released UBS note, analysts maintained their forecast of a 170,000 drop in residential commencements in both 2019 and 2020. BIS said a standout feature of the current downturn for total dwellings was the higher starting point — about 20 per cent higher than any prior peak. “At 229,500 dwellings in 2017-18, it sits about 40,000 dwellings above any prior peak,” Hibbert said. And while the anticipated slowdown in private houses is consistent with other downturn cycles in terms of pace and direction, the downturn for apartments and townhouses is more significant. “From a peak of 105,600 dwellings, it takes nine quarters to fall 46,700 or 44 per cent to 58,900 dwellings. Rider Levett Bucknall’s crane index showed a strong jump in Melbourne crane numbers, with a 40 per cent rise since March 2018. Supplied. 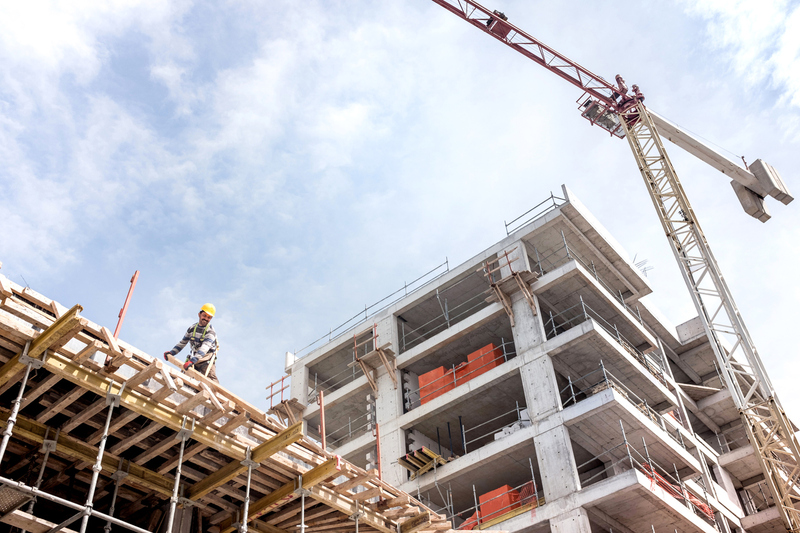 It is not all doom and gloom however, with official building figures for the month of February showing an unexpected surge in multi-unit approvals and non-residential figures recording a 9 per cent rebound thanks to infrastructure spending. Meanwhile, Rider Levett Bucknall’s crane index showed a strong jump in Melbourne crane numbers, with a 40 per cent rise since March 2018. 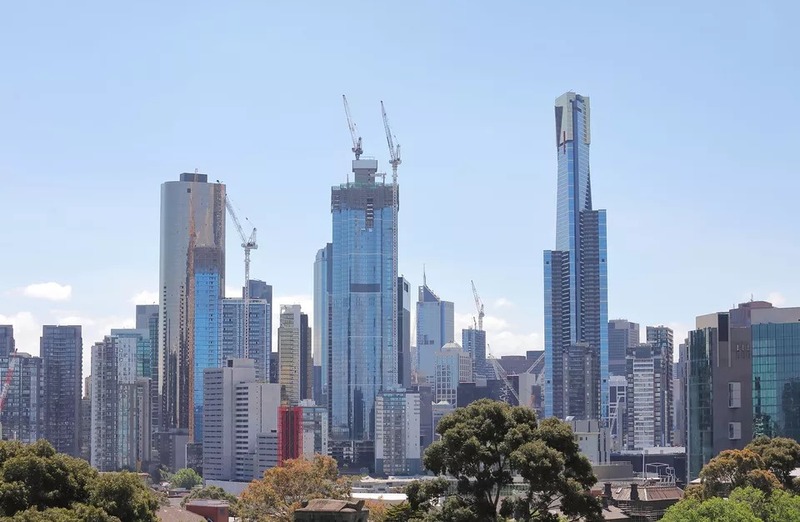 Melbourne crane numbers reached beyond 200 for the first time, with the residential sector dominating the skyline with 148 cranes across 69 suburbs.